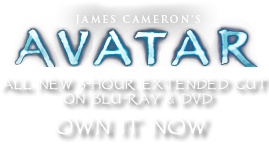 Banshee Bow (Tsu'tey bow) | Pandorapedia: The Official Guide to Pandora | Own AVATAR on Blu-ray & DVD Now! The very light threads on the string can help determine wind direction for a stationary shot. The low hand grip and shorter base of the bow allows for easy change of position while in the saddle. The lower part of the bow stays clear of the banshee. It has its own quiver to hold arrows. Materials and Construction Composite bow made from horn, decorated with banshee motifs and markings. The handle is made from woven fiber adhered with a plant-based glue. The string is made from gut and decorated with beads.